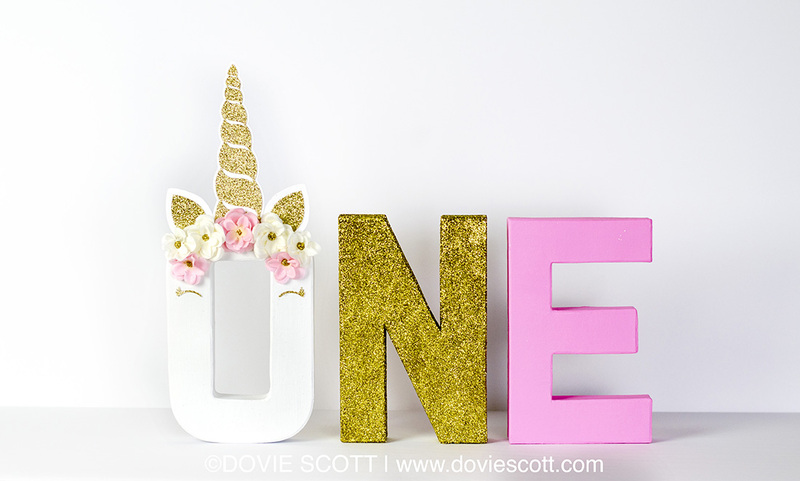 Today’s video tutorial I am showing you how to make these adorable unicorn birthday centerpieces. 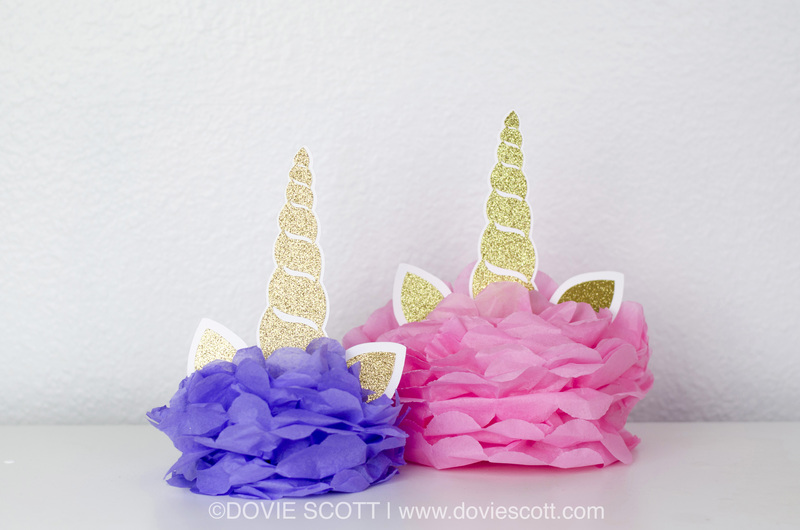 These are perfect for a unicorn birthday party. They are so quick and simple to make and you can make them any in any color you want. Watch the video below to learn how to make them. Disclaimer: We are a participant in the Amazon Services LLC Associates Program, an affiliate advertising program designed to provide a means for us to earn fees by linking to Amazon.com and affiliated sites. 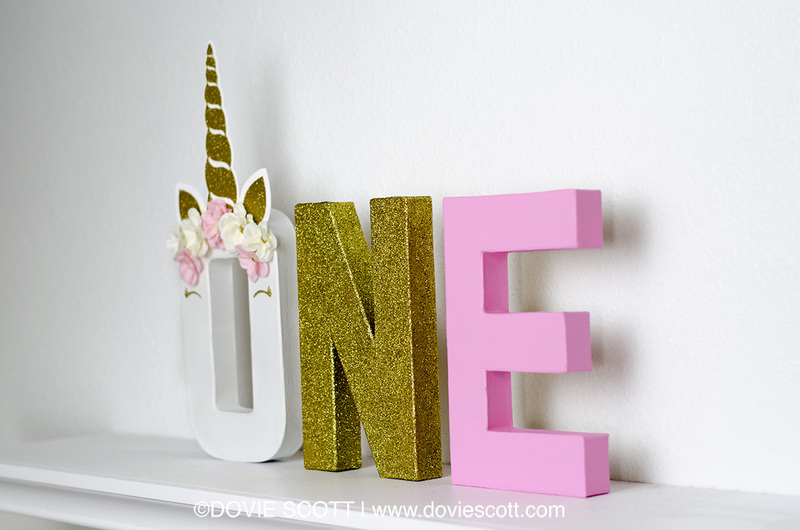 Today I am showing you how to make unicorn birthday letters. 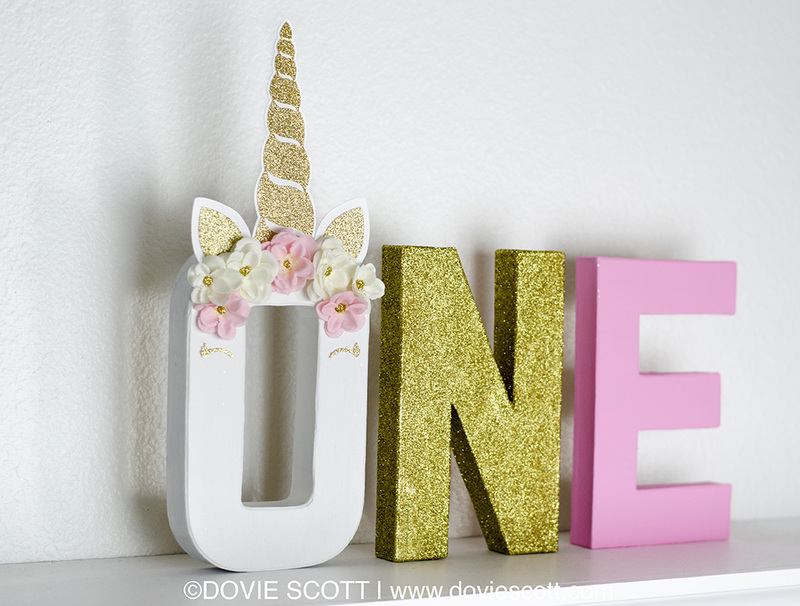 These are really easy to make with these unicorn cutouts from my shop. They will be perfect for a unicorn birthday party. Also, you can make these in any letters, so you can make these for any birthday age or a name for room decor. Unicorn Cutout Cut Files – SVG/DXF files for craft cutting machine or JPG/PNG for template in hand cutting. Babies are adorable all on their own, but throw a super cute headband on her and let her be adorable in style. This DIY tulle flower headband is so easy to make and totally fabulous. 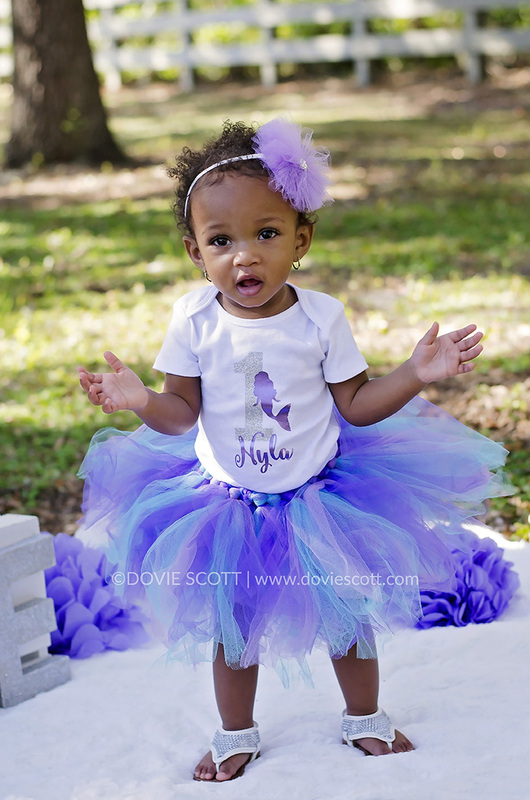 Your little one can wear it anytime, special occasions and even birthday photos! 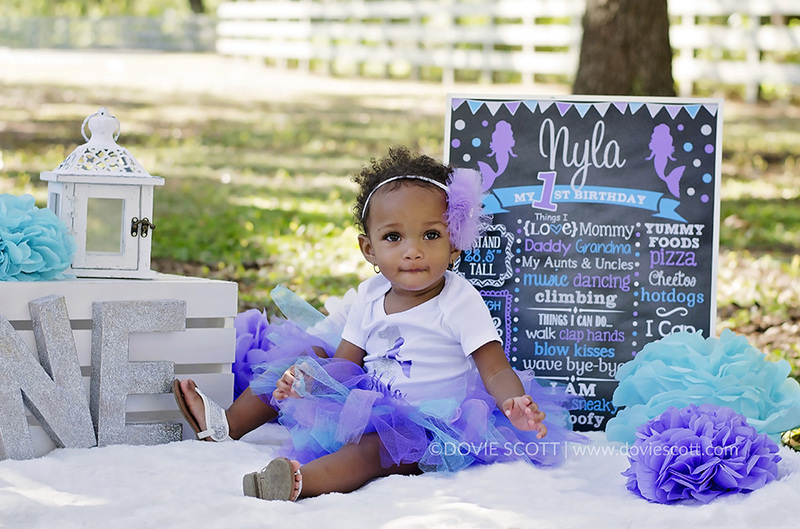 I made this tulle flower headband for the adorable Miss Nyla’s birthday photos. 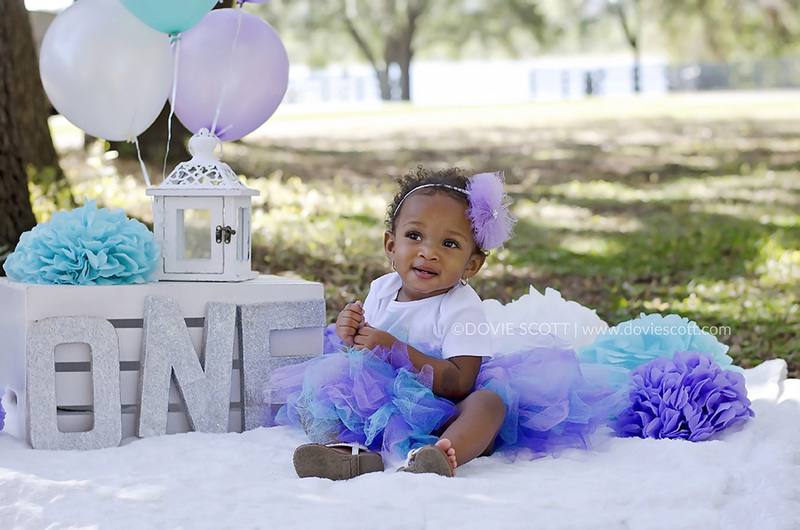 I went all out for her photos as I made her mermaid birthday shirt, her matching tutu, the tissue paper flowers and the first birthday chalkboard. I really love how everything turned out. Let me know what you think in the comments. If you want to see how easy it is to make then check out the video below. You can find the mermaid first birthday chalkboard in my Etsy shop, Simply Dovie. Watch how to make a tutu skirt easily with my new video tutorial (video at bottom of post)! We’ve all seen the adorable fluffy tulle tutu skirts that toddlers wear at their birthday party or in their birthday photos. In my newest video tutorial I am going to show you how I made the adorable tutu skirt that you see in the below photos. 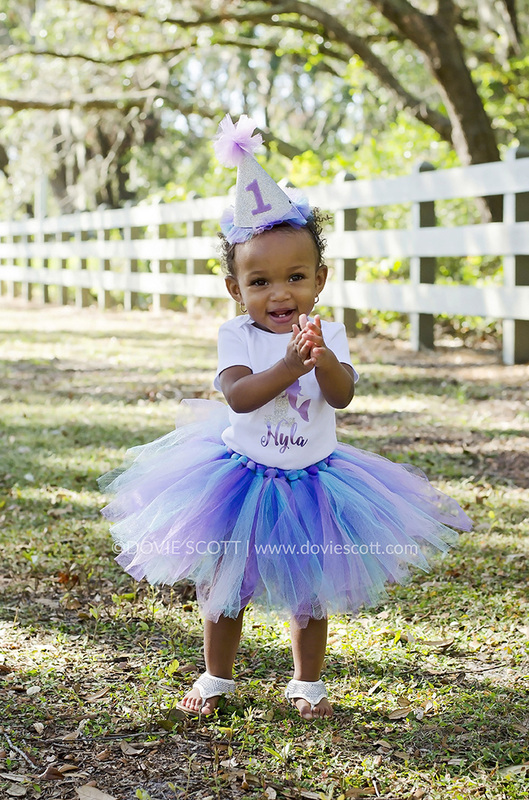 I made this tutu skirt for Miss Nyla’s birthday photos and to wear at her birthday. So, believe me when I tell you that it is super easy to make. 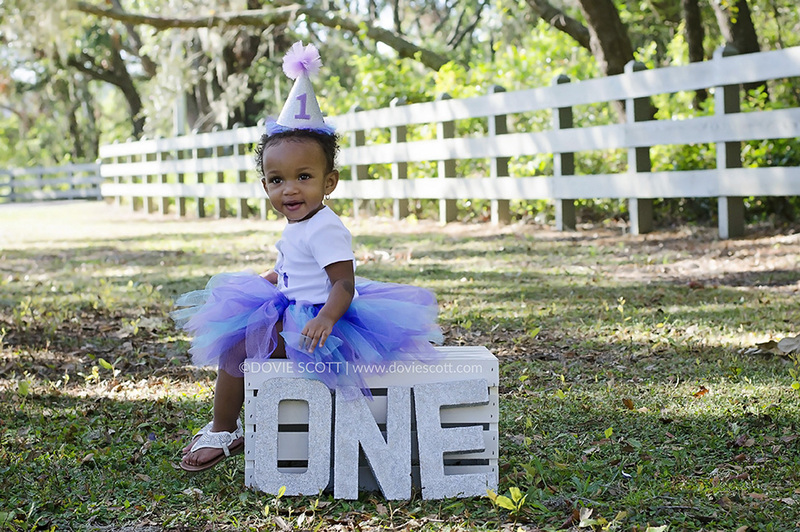 View this blog post here if you want to see how I made the matching birthday hat. Her entire birthday outfit was a big hit at her birthday party and I heard so many of the guests complimenting on how cute she looked in her outfit. 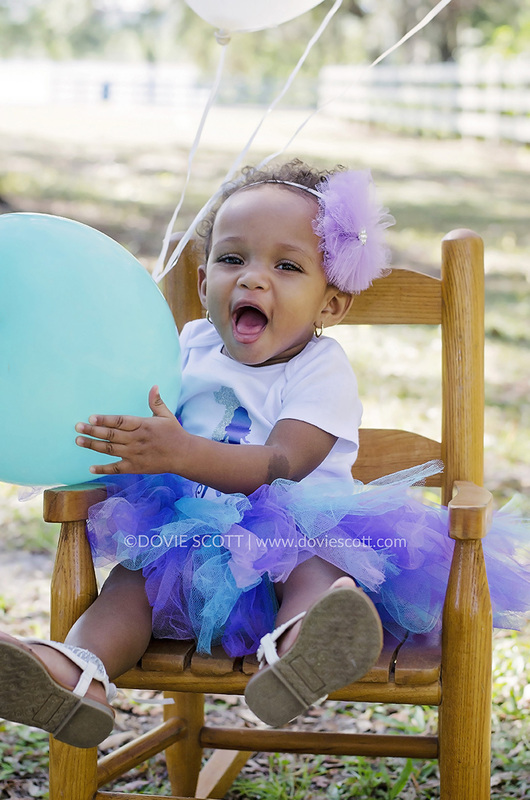 I went with purple and turquoise colors because her party was mermaid themed. You can make the tulle skirt just a solid color by using only one color instead of 3 as I did. By the way, these can be made for any size, buy just adjusting the waist size and the length of the tulle strands. So, for those 40 year old lovely women that are doing the cake smash sessions can make their own skirt too! 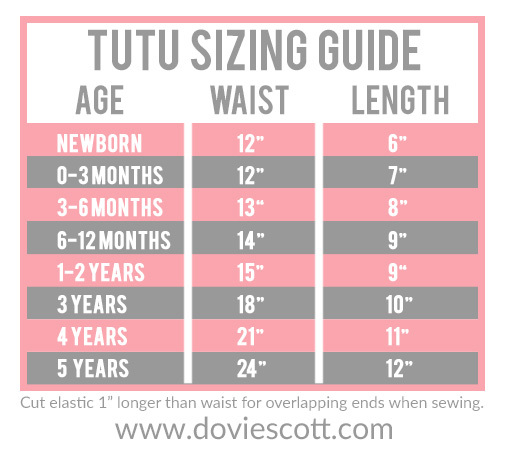 For the elastic waist I do recommend measuring the waist and adding an 1″ for overlap when sewing. If you are unable to measure waist then below is a size guide to help you. If you would like to see how I made the above tutu skirt then watch the video below. Also, don’t forget to give it a thumbs up and subscribe to see all my new videos. 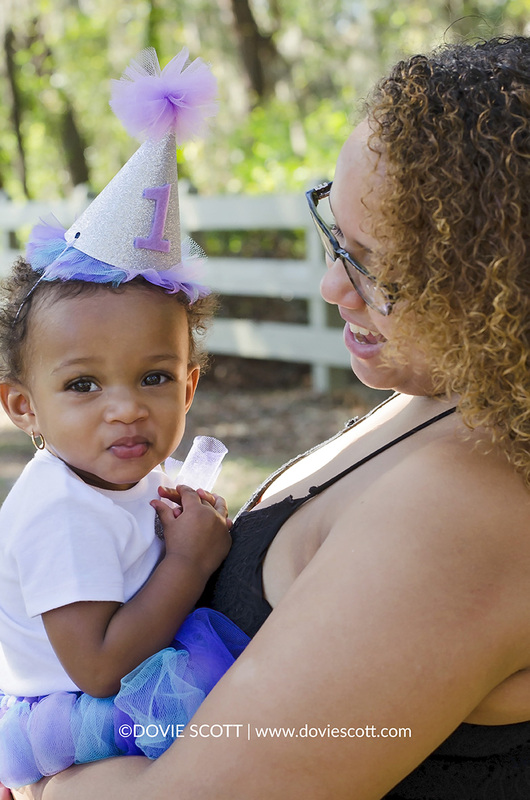 In my latest video tutorial, I show you how to make a first birthday party hat. 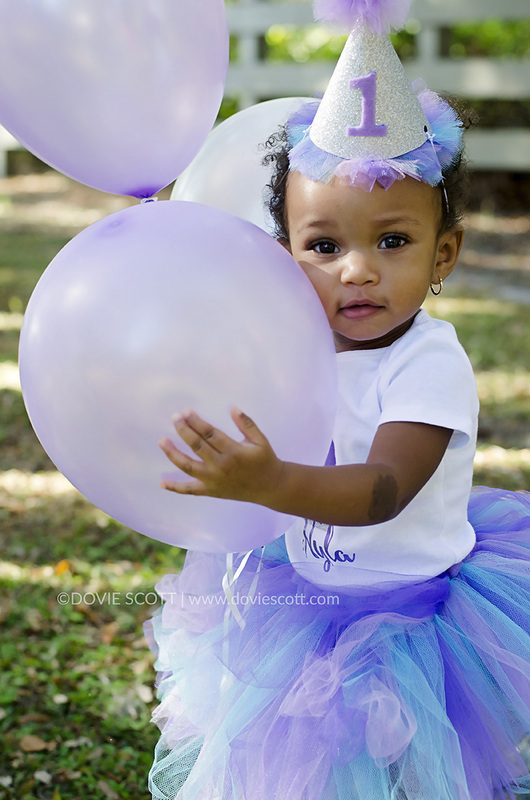 Photography is another one of my loves and I had the honor of photographing my dearest friends granddaughter’s 1st birthday photos. I just love how they turned out and soon I will post a blog on some of my most favorites photos from the photo session. So, keep an eye out for it. I made her birthday outfit along with most of the props for the session. Also, I made video tutorials so I could show you how I made them. Believe me when I tell you that they are all super easy to make too! In my first video tutorial, I show you how to make the first birthday hat that you see in the below photo. I just love how it came out. You can change all the aspects of it to make it match perfectly to your own party and color scheme. Check out the video below to see just how easy it is. If you want to see how I made the tutu skirt then go here. 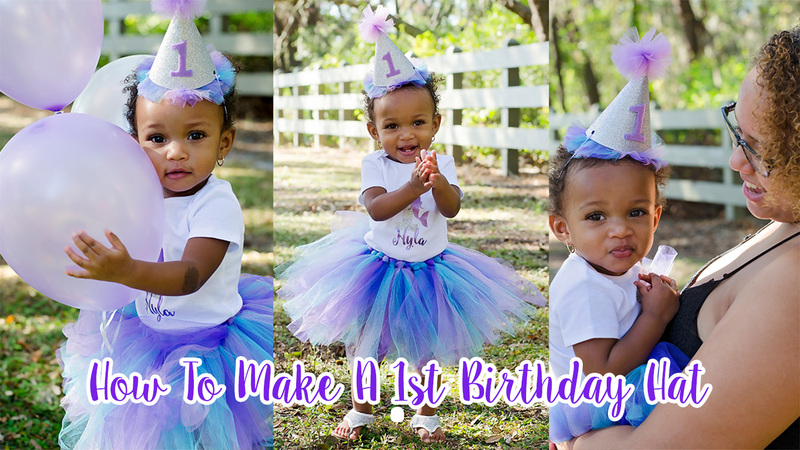 You can watch below for the video tutorial on how to make the adorable 1st birthday hat! 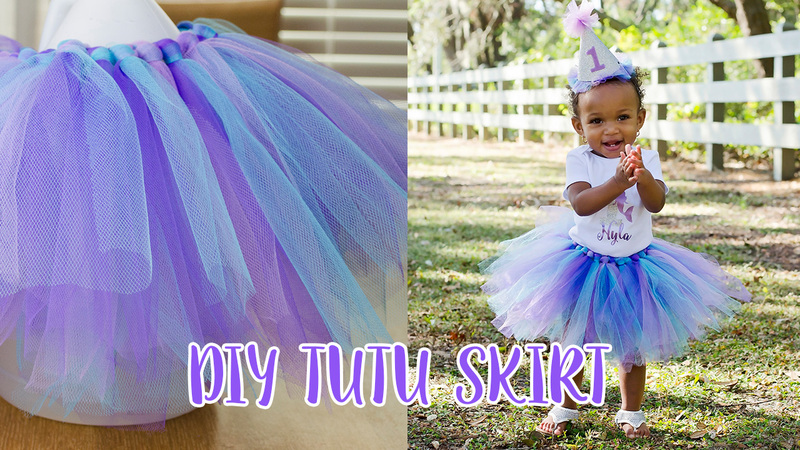 Also, I will be posting a video tutorial on how I made the adorable tutu skirt too! 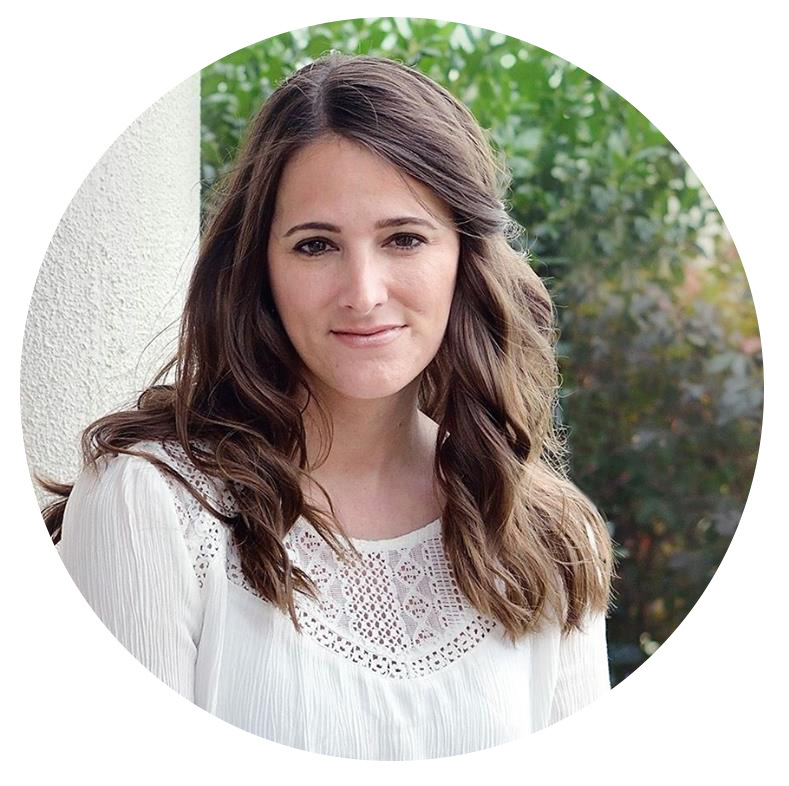 Hello, I'm Dovie, a wife, mom of twins with a love for photography, being crafty and enjoying the simple pleasures this crazy life has to offer. Here you can find my musings, inspirations and creations. All content copyright ©2018 Dovie unless otherwise noted.